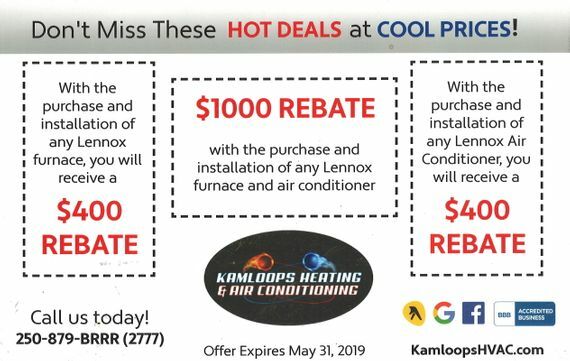 Kamloops Heating and Air Conditioning Offers Exciting Rebates! Kamloops Heating and Air Conditioning takes care of your HVAC needs. Get amazing rebates on our heating and cooling appliances with our coupons.